Spanish and those damn verb conjugations!. Spanish and those damn verb conjugations! Among language learners the joke is that Spanish is a very easy language to learn…except for those damn conjugations! It’s true. Spanish is a phonetic language, which makes it very easy to pronounce. Thanks to the millions of cognates, recognizing words in Spanish can be much easier than recognizing words in other languages. In addition, Spanish has about 50% less words than English, so there is much less vocabulary to learn. But then there are those damn conjugations! So how do you learn them? Many students will study them for hours, only to find that they can memorize the conjugations until they are blue in the face, but it doesn’t mean that they will easily conjugate correctly while speaking. This is how you learned to speak your native language, and this is the best way to learn to speak any other language. Do NOT underestimate the power of learning a language from using it! Attempt, get it wrong, get corrected, repeat the correction, keep going. 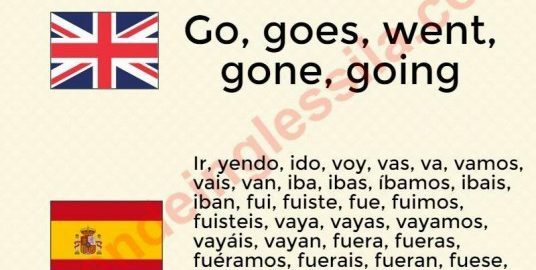 Either way, the conjugations will start to come to you naturally after enough use. Pura Buena OndaPura Buena Onda BlogSpanish and those damn verb conjugations!